Your attendance to U of L events and speaker series no longer needs to be dictated by your busy schedule. 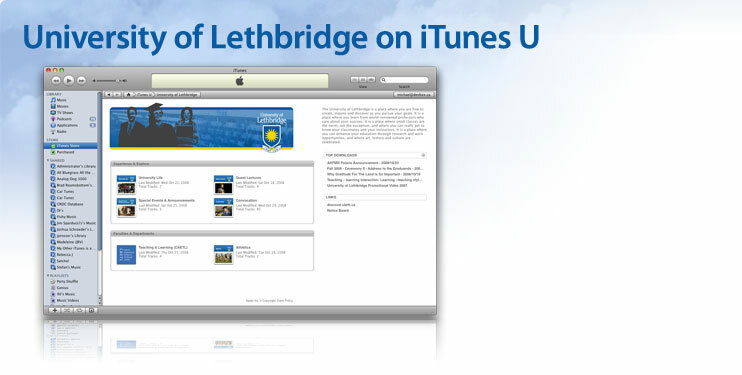 With Apple's iTunes U, great content such as guest lectures, important media events, seminar series, convocation and much more are now available for you 24 hours a day. Download great U of L content for free and watch via iTunes on your computer; or sync your iPod or iPhone with iTunes so you can listen while you drive, walk or workout. You don't have iTunes? Not a problem, simply follow this link http://www.apple.com/itunes/ and download the version of iTunes that works with your system. Mac and PC versions are both available. Already have iTunes, then click here to launch iTunes University now.